Business-savvy students from Carlisle College beat off competition from six other local teams to win the Carlisle heat of ICAEW’s National Business and Accounting competition, BASE on 24 February 2015. 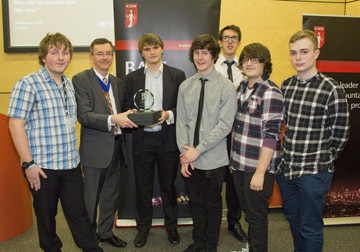 Carlisle College impressed the judges in the heat held at the University of Cumbria in Carlisle and will go on to represent Cumbria at the national final which takes place in Birmingham in June. This was one of 46 heats attracting over 3,000 students in more than 500 competing teams nationwide. BASE links schools, students and employers to develop employability skills and provide an insight into what a career in accountancy, business and finance might be like. Assuming the role of ICAEW Chartered Accountants, the students had 2 hours to analyse a business situation, before presenting their ideas to a panel of top business professionals. The students completed the competition under their own direction but each team was also supported by a member of Northern Society of Chartered Accountants who acted as their mentor. 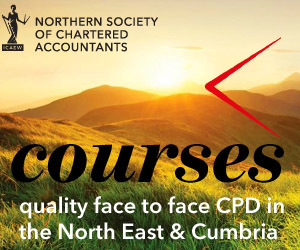 The BASE competition was supported by local firms including Dodd & Co., Armstrong Watson, Saint & Co., National Audit Office, Newcaslte University, University of Cumbria and David Allen who provided professional mentors and judges. For further information about BASE and how to participate please visit icaew.com/base.